As regular readers will know we are fortunate to be Playmobil Playologists. This means we get to share news with you about the latest Playmobil toys and events and also receive lovely Playmobil toys to review and play with. 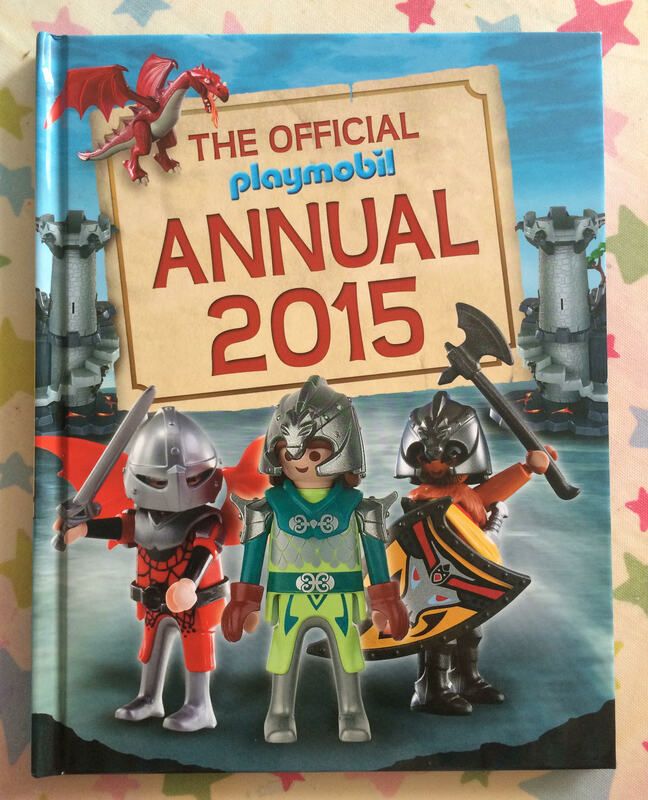 We were recently sent the new Official Playmobil Annual 2015 to review. I’ve mentioned before that 2014 marks the 40th anniversary of Playmobil, a firm family favourite which is amongst the top 5 brands in the European toy industry, and distributed in more than 80 countries worldwide. To coincide with this, Buster books have published The Official Playmobil Annual 2015, featuring an array of Playmobil scenes, colouring pages, games, quizzes, puzzles and more. Children will love helping the Green Dragon Knights, led by Prince Hagalas, defeat the evil Red Dragon Knights, so this new book is the perfect gift for any child who is a fan of the Playmobil brand. The Official Playmobil Annual 2015 was published on the 7th August and priced £7.99. I have one copy of this brand new Annual to giveaway. For your chance to win a copy of The Official Playmobil Annual 2015 simply complete the Rafflecopter widget below. Please note you must answer the question and leave a blog comment to enter. More than 80 countries, wow! Anyway good luck with it.